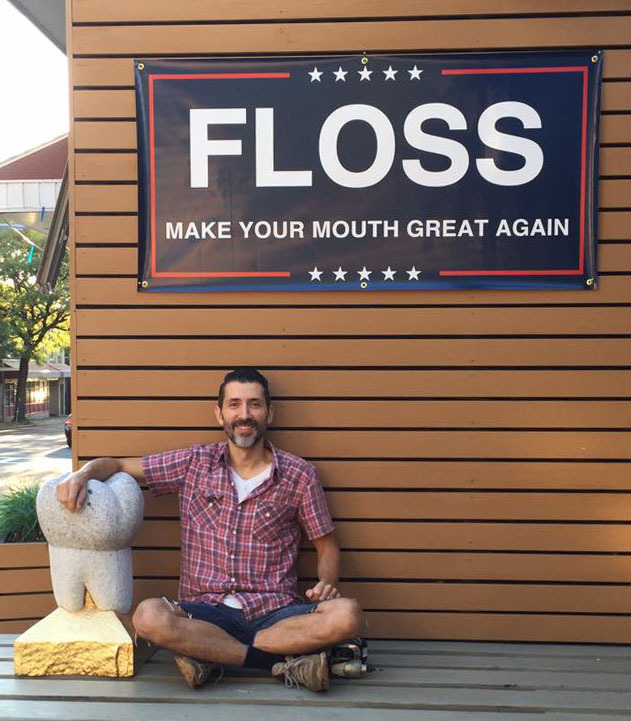 As a dentist who practices in the community where I live, I’m frequently approached by people who seem pleased to tell me the recent news on flossing. On August 2nd, 2016, the Associated Press released a story, “Medical benefits of floss unproven.” This is true. There is not a single well-designed, randomized, long-term study on flossing. The dental community has known this for decades. This misunderstanding on flossing has a basis. What do we have on flossing and its benefits? There are hundreds of short-term, poorly-designed studies that prove the benefit of flossing. When these studies are held to the the highest level of scientific critique, almost all of those studies are thrown out and then labeled as scientifically irrelevant or weak. This is what happens when a bunch of well trained objective scientists get together and are asked to look at all the evidence on flossing (Cochrane review). This was done in 2011. This is not news to anyone in the professional community. For anyone looking for a reason not to floss, this is truly blissful news. But for the millions of un-flossed teeth, this news is anything but bliss. It takes multiple years and sometimes decades for the damage of not flossing to finally hit them. And thankfully so. Teeth need to be resilient and resistant to bacteria, disease and acid attacks, but there comes a point where your teeth can take no more. Then pain sets in and in order to save your teeth, financial pain follows. Because everyone has different habits, each persons’ teeth has their own customized “tooth self-destruct button.” What flossing does is takes that hand off that button so you can keep your teeth for life. Don’t just take my word for it, the American Dental Association still says a resounding “YES!” to flossing. As dentists, we need to be community leaders in oral health. 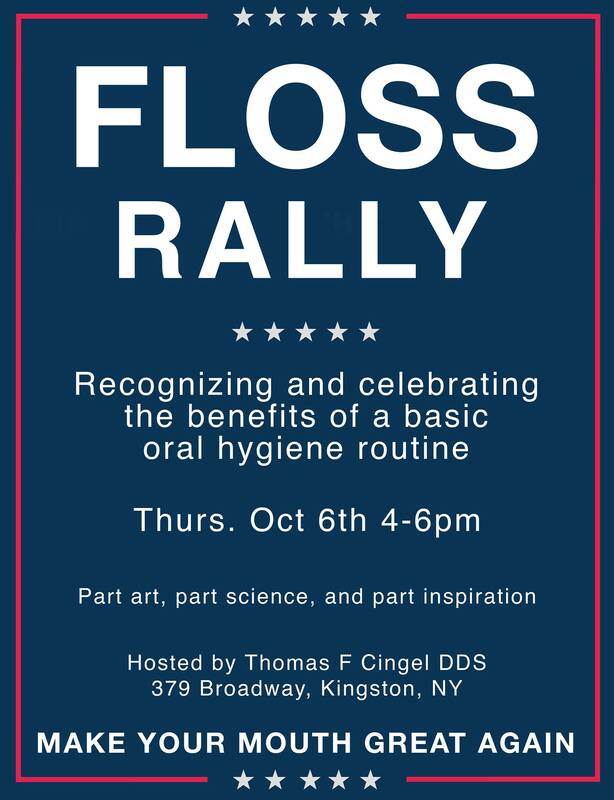 Hosting a Floss Rally at my office is just a small part of our responsibility to better well being. I hope to see you all there, Oct 6th, 2016, from 4-6pm, at 379 Broadway in Kingston, NY. It’s informative and kid-friendly. Refreshments will be served.